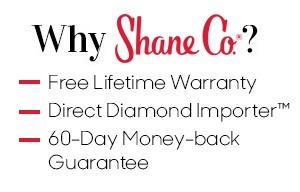 Stackable Style - Shane Co. Recently engaged? 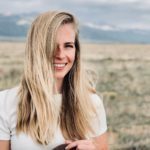 Celebrating the birth of your first child? Second child? Well, there’s a band for that. Whether you’re commemorating a special occasion or simply want to add to your jewelry collection, stackable fashion rings and wedding bands add sparkle to your life. 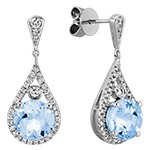 This Valentine’s Day, surprise your special someone (or even treat yourself!) 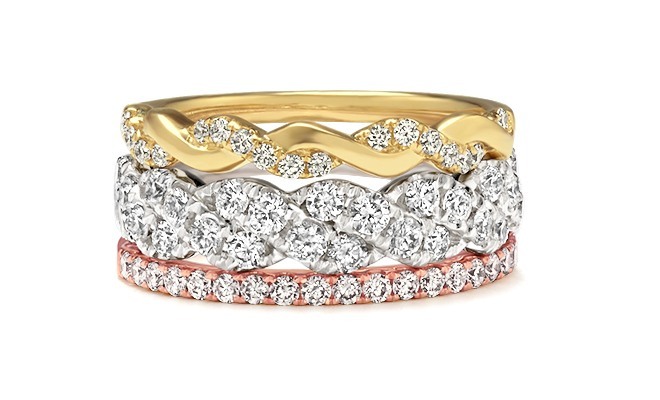 with dazzling stackable bands. We bet you can’t stop at just one. 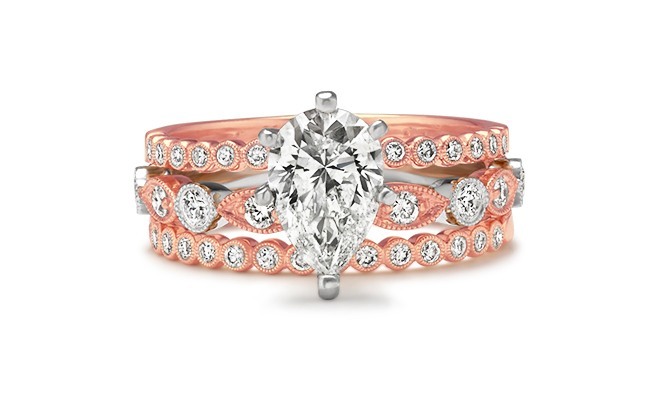 This stunning stack features three bands that will sparkle for a lifetime. 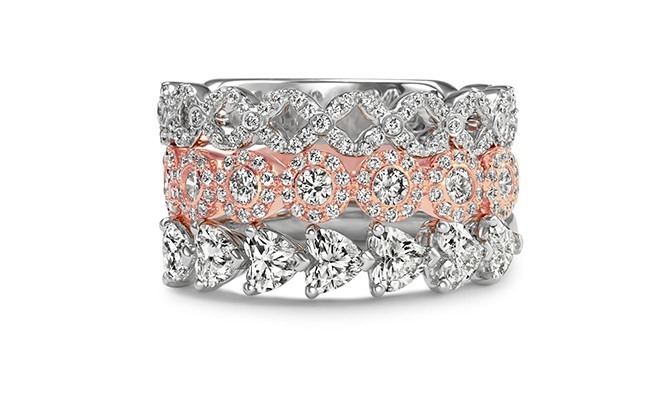 The top band shimmers with its pavé setting and modern design. Pair that with a diamond halo wedding band along with an elegant heart shaped diamond band, and you have a look that you can wear with any outfit. 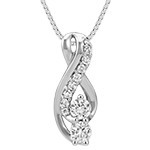 Would you like to add more sparkle to your wedding set in honor of an anniversary? Look no further than this vintage diamond wedding band in two-tone gold. Make it a tradition to add to your bridal set with any one of our elegant stackable bands. Mixing metals is one of today’s hottest fashion trends. Combine that with a gorgeous ring stack and you are sure to stand out from the crowd. This 14k yellow gold and diamond infinity wedding band stacks seamlessly with this beautiful pavé-set diamond band. 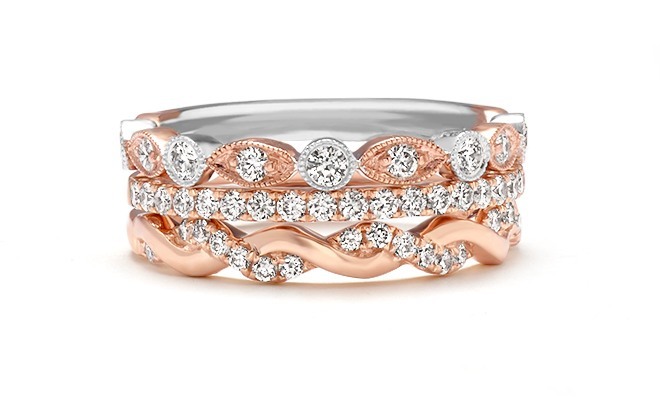 Add even more sparkle with this 14k rose gold classic pavé band. 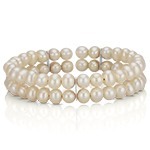 Keep it simple and cohesive with this gorgeous stack. The pavé design on the two 14k rose gold bands complements the intricate detail of the two-tone gold vintage wedding band. This unique stack makes a big fashion statement. Mix and match any of our styles you see here to create your own unique stack!